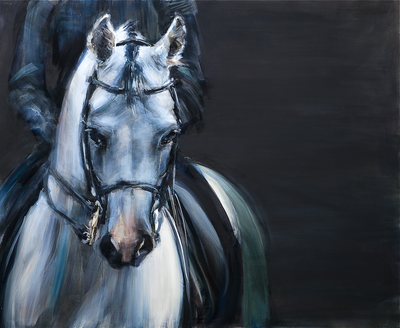 ​Probably the most intimate and mysterious series of the entire sample. 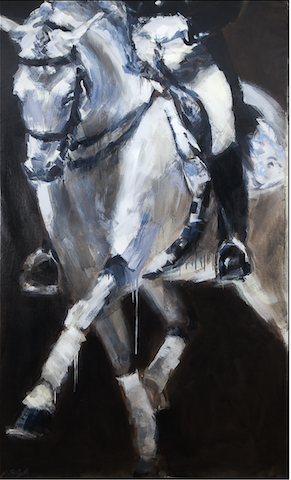 Marcos Terol compares the rider and his horse with the painter and his picture. 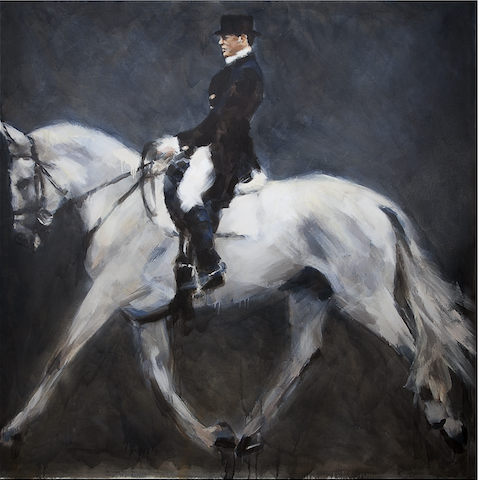 He expresses the elegance and distinction of dressage presenting it as a classical painting. 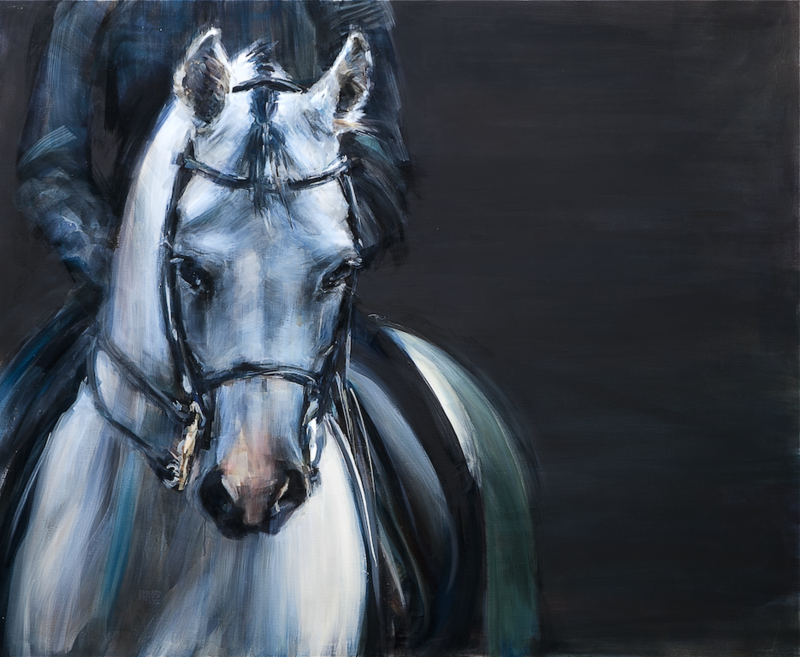 This series suggests a number of parallels such as the anatomy of the horse and compositional rhythms, or the layers of colour with the white of marble statues. 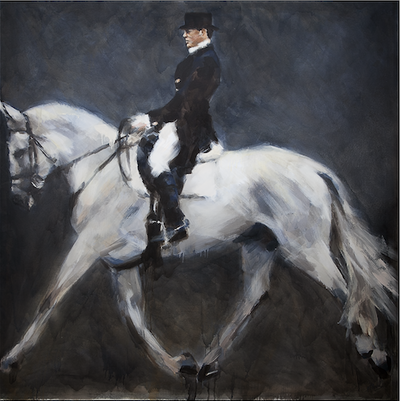 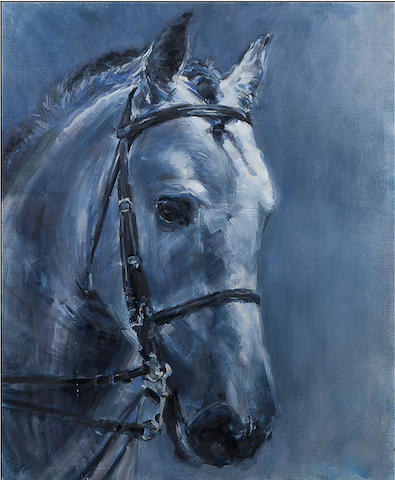 Just like dressage the paintings focus on balance, harmony and the gentle nature of this form of horsemanship.